Former colonial power Britain on Wednesday called for restraint in Zimbabwe after at least three people were killed when soldiers opened fire on crowds protesting alleged fraud in this week’s election. 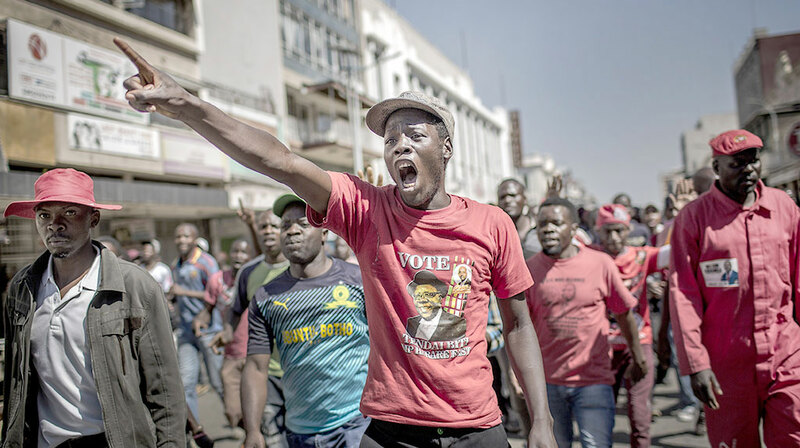 Foreign office minister Harriett Baldwin said on Twitter that she was “deeply concerned” by the violence in Zimbabwe following the first nationwide vote since autocratic president Robert Mugabe was forced out by a brief military takeover in November. “Call on Zimbabwe’s political leaders to take responsibility for ensuring calm & restraint at this critical moment. We’re continuing to closely monitor the situation,” she said. Human rights group Amnesty International called on Zimbabwe’s authorities to launch “a prompt and effective” probe into the deadly military crackdown. “The army’s conduct should be promptly investigated, with those responsible brought to justice,” said Colm O Cuanachain, Acting Secretary General of the London-based organisation. “The militarization of the prevailing post-election environment is muzzling freedom of expression, association and assembly. “People must be guaranteed their right to protest,” he added. Monday’s polls had been meant to turn bring an end to years of violence-marred elections and brutal repression of dissent. Official results showed that the ruling ZANU-PF party had easily won most seats in the parliamentary ballot — strengthening President Emmerson Mnangagwa’s chances of holding onto power in the presidential race.